Twitter Isn’t Raising the Character Limit. It’s Becoming a Walled Garden. Investors are nervous about Twitter’s next move. But they should be pleased. Tweeters are freaking out—again—about another report that Twitter will soon lift its famous 140-character limit on the length of tweets. They should calm down—again—for reasons I’ll explain. That is, unless they care deeply about the open World Wide Web, in which case they will be free to freak out after all. If I’m right about what’s really going on here, this move will not fundamentally alter how Twitter looks or feels, nor how people use it. Rather, it will change where online content is hosted, who controls it, and who is in a position to monetize it. First, some context. The influential tech blog Re/Code first reported in September that Twitter was building a new product that would allow people to share tweets longer than 140 characters. A fresh report from Re/Code, published Tuesday, puts a number on that new product, and it is a large number indeed: 10,000. As in, Twitter will raise the character limit for tweets from 140 to 10,000. The new report, again citing anonymous sources, also adds a name for the project—Twitter is internally calling it “Beyond 140”—and a date: The new character limit could take effect in the next three months. This is all interesting information, and Re/Code’s Kurt Wagner deserves credit for excavating it, even if it’s still a little speculative. I have no trouble believing the report’s accuracy. If this is accurate, then it may be technically true that Twitter is raising the character limit from 140 to 10,000, or some other large number. But from a functional standpoint, the service will look much the same: a stream of tweets capped at 140 characters of text, some of which also contain other stuff, like photos, Vine videos, or links to longer stories on other sites. You see, people are already posting 10,000-word stories to Twitter. I do it all the time, and so does @slate, and so do all manner of Twitter users. They do it by composing a 140-character tweet that includes a pasted and shortened URL link to the full story, the bulk of which must be hosted on some other site. Depending on the story, you may be able to click a “view summary” button to see a preview of it in your Twitter feed, including a headline and lead photo. “Beyond 140” would essentially drop the requirement that the full story be hosted on some other site. The whole story could now be hosted on Twitter. And instead of a link out and a “view summary” button, you’d see a “read more” button, or something similar, that allows you to read the story without leaving the Twitter app or Twitter.com. What’s really changing here, then, is not the length of the tweet. It’s where that link at the bottom takes you when you click on it—or, rather, where it doesn’t take you. Instead of funneling traffic to blogs, news sites, and other sites around the Web, the “read more” button will keep you playing in Twitter’s own garden. After a while, you may notice that this garden has expanded to take in territory that once lay beyond its walls—and that those walls are a little higher than you remember them being. Stories published on Twitter may not be available elsewhere. At the same time, Twitter might start to exercise some control over which stories available elsewhere will be allowed inside its garden. That’s because Twitter is struggling to compete with rivals like Snapchat, Instagram, and Tumblr, all of which are designed to keep users in rather than continually sending them out to the broader Web to view content. Facebook is doing much the same: Its recent big push for native videos and Instant Articles—content hosted within the News Feed, rather than linking out—is ostensibly about a more seamless user experience. And, sure, that’s part of it. Facebook’s own research has told it that users hate clicking on links and waiting for pages to load in their browsers, particularly on their phones, where many websites still look terrible and function poorly. But it’s also a land grab on Facebook’s part, as I and others have explained. The social network is using its enormous active user base to persuade the media to give up control of their content and hand it over to Facebook. If they don’t, they’re likely to find that their links are bypassed by Facebook’s billion daily active users in favor of videos and stories that appear at full length directly in the News Feed. How exactly Twitter will implement its version of Instant Articles remains to be seen. But it’s a good bet that the incentives driving this change are similar. Twitter, like Facebook, has long played the role of a switchboard that routes people to in-depth stories elsewhere on the Web. This is great for those other sites, but not so great for Twitter, which is essentially giving away one of the Internet’s most valuable commodities: readers’ attention. It’s a great service, but one that a financially struggling company probably figures it can’t afford to provide anymore. 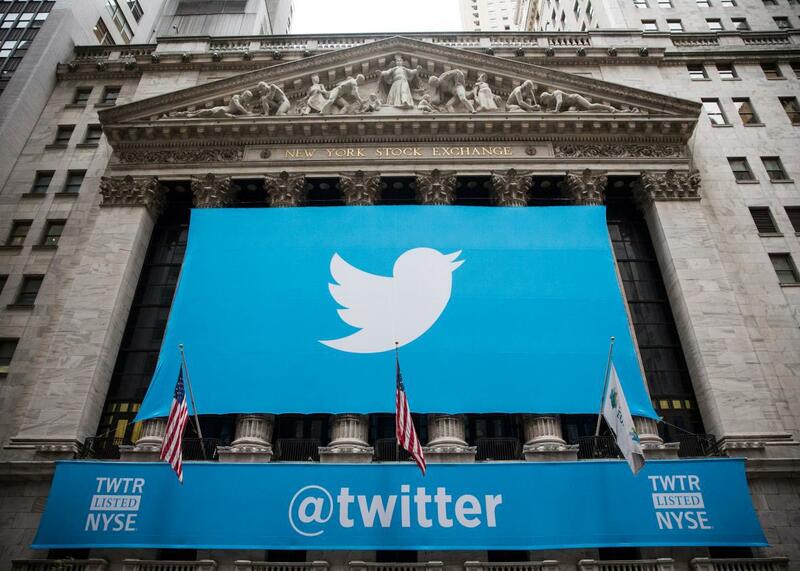 To satisfy its investors, Twitter needs all the attention it can get. Consider this its latest bid for yours. Update, Jan. 5, 2016, 5:11 p.m.: Twitter CEO Jack Dorsey has responded to the reports, albeit a little vaguely and obliquely, via tweet. In the process, he highlights yet another way that Twitter already allows tweets longer than 140 characters: His tweet is a screenshot of a block of text.